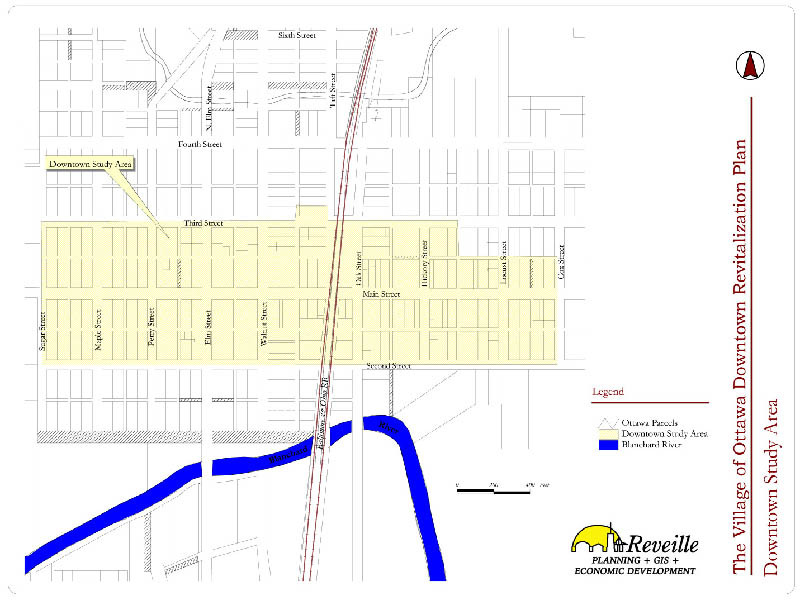 Reveille assisted Ottawa in developing a point of reference for future downtown planning activities. The plan was drafted in a manner to preserve and enhance Ottawa's small town character and environment of the identified downtown area. The plan seeks to help strengthen small business growth and diversity rather than encourage large-scale commercial/retail development in the downtown. To better assess the viability and overall functionality of Ottawa's downtown business district, surveys were mailed to all downtown business owners. The survey format enabled business owners to rate the several aspects of its downtown, highlight their business trends, and identify existing problems. Focus group meetings were held throughout the planning process to discuss issues relevant to downtown Ottawa. A SWOT (Strengths, Weaknesses, Opportunities, and Threats) Analysis was a primary component of these meetings, as well as to delineate the boundaries of Downtown Ottawa and a "strategy area" of which future resources and efforts should be directed toward. Shopper intercept and Consumer Surveys. Developed preferred downtown design guidelines. 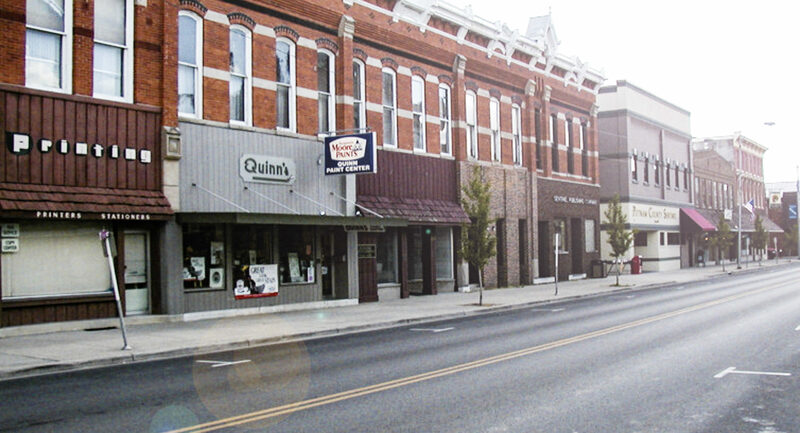 Extensive downtown business survey component and worked closely with downtown business and property owners. Drafted in a format that allows Ottawa to qualify for ODOD Tier Two Downtown Revitalization Grant Dollars.